For the NETIS website, click here. 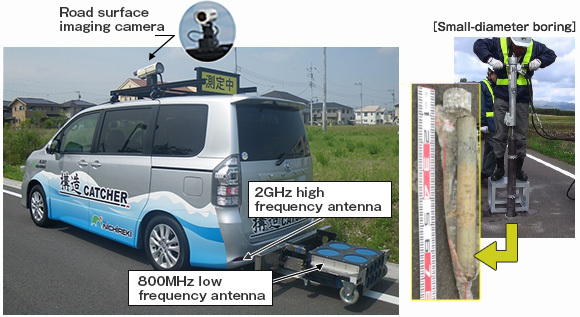 The KOZO CATCHER is a survey vehicle that is capable of continually understanding the extension of existing paving structures along a road using electromagnetic waves. By jointly carrying out small-diameter boring, it will be possible to divide the road into sections suitable for the existing paving structures, allowing the proposal of appropriate repair methods. 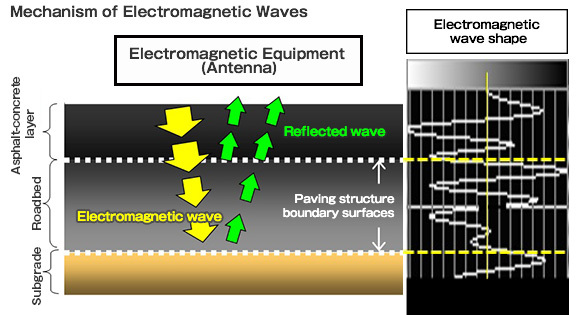 Paving structure survey is a technique for estimating the thickness of the paving and identifying the change points of the paving structure by reflecting electromagnetic waves from the boundaries of the different materials. 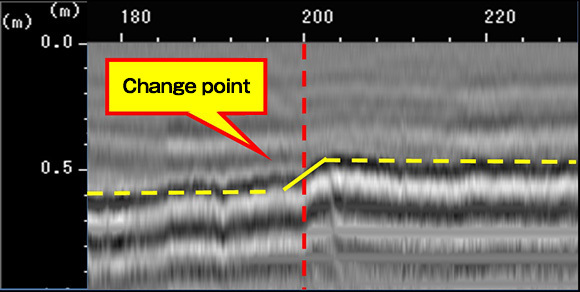 Surveys carried out using the KOZO CATCHER can be utilized in the following ways. For understanding the asphalt-concrete layer thicknesses and the roadbed thicknesses throughout the whole length of the subject section. 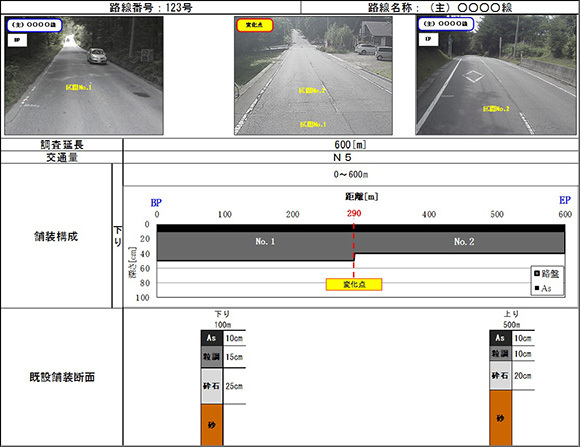 For understanding the change points in the paving structure, and implementing appropriate section division. For effectively understanding white base sections. Photographs can be recorded for road surface crack surveys. The paving structure is different at the two points inside the section. → By grasping the paving structure change points, appropriate section division can be performed. 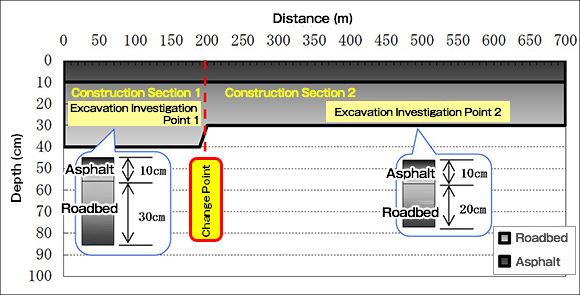 The survey area can be divided into two sections taking the 200m point as the boundary. Accordingly, the most appropriate repair structures and repair methods for construction section 1 and construction section 2 can be proposed. → By grasping the paving structure change points, the excavation points can be determined. 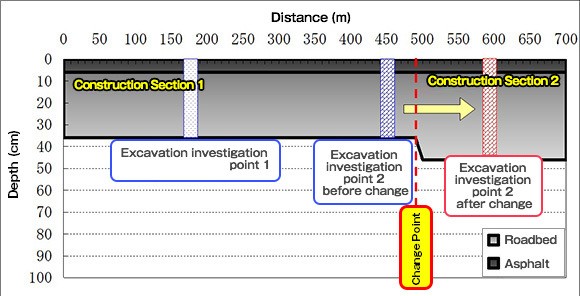 The initially intended excavation investigation points can be changed. The existing paving structure can be clarified using the minimum number of excavation inspections.